It's been a while since our last monthly "Best Mini PC deals" post, but it's September already, days are shorter, and people have more time to spend indoor. Which means that manufacturers are announcing new, interesting devices and that retailers are starting to show off their best deals. 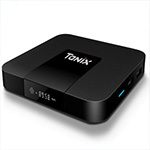 One interesting promotion that you should check out is the new Best Mini PC and TV Box Flash Sale on GearBest, which has quite a few offers to choose from. There are offers for any budget - we tried to compile a list with the most interesting ones below. 4K devices used to be expensive. 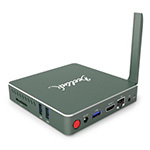 but with just a little over $30 you can get a device capable of rendering [email protected] nowadays, thanks to the powerful Amlogic S905W SoC. Currently listed on GearBest at $31.99. The price is now at a new low, currently you can get one for just $84.99. Another interesting device, which we'll review here on MiniPCDb soon, is the Khadas VIM2. 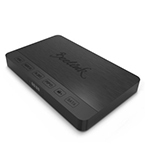 They market Khadas VIM2 as a TV box, mostly because of the Amlogic S912 SoC, but the VIM2 is very versatile - can run Ubuntu 16.04 or Android 7.1, can be powered on remotely through an app (WoL), can be used as a TV box, headless server, or as the brain for a DIY automation kit. There are three versions, with the most powerful being the VIM2 Max (3GB DDR4 + 64GB eMMC), currently at just $109. If you need less processing power, you should really check out the VIM2 Pro, at just $94 currently. 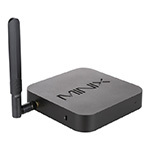 Another device that will arrive soon for a review is the new Minix Neo Z83-4 Pro. The Z83-4 Pro comes with more processing power and ready to be installed behind a monitor - VESA mount included. We should also mention that it's fanless, since the future Minix model won't be. Currently listed on GearBest at $189.99 (limited stock available). One of the most interesting devices in terms of processing power is the Beelink AP34, which comes with an N3450 processor, 8GB of RAM and 64 GB ROM. The device is said to be running Windows 10, but the license might not be activated, since the RAM and ROM specs are over the limits set by Microsoft for a free license, and the price can't also include the full Windows license. But if you can get past that, Beelink AP34 is available on GearBest at $239 .